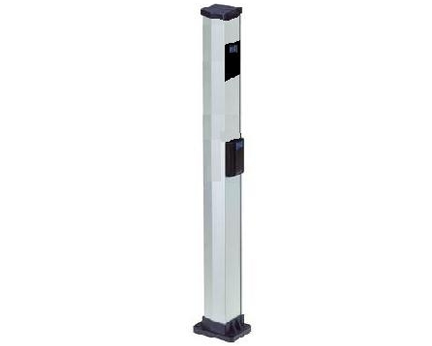 This listing contains a double sized post measuring 44" made from anodized aluminum. Unlike the single post, this has space for both the photocell and its control switch. The package also includes a foundation plate. 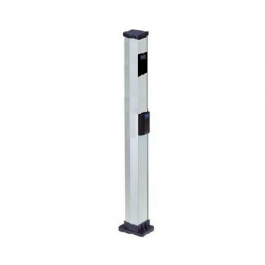 For gate openers to comply with minimum UL-325 safety standards, a detection system must be installed. Most gate operating systems do not come with the proper setup for UL-325 compliance. To upgrade your system, you need to add a sensor like the 785163 Photobeam with a transmitter and receiver. Note: The FAAC photobeam system includes both a transmitter and receiver. You will need two posts to mount both devices. This product is a direct replacement for the FAAC 401035/737630+.